Hey, ya'll! Happy spring! It's still 40 degrees here, and we had snow on the actual first day of spring, but the daffodils are starting to pop up through the soil, so I have hope!!! It's been a super busy spring so far! We are working hard on our big laundry room project, so I haven't had much time for other projects lately. 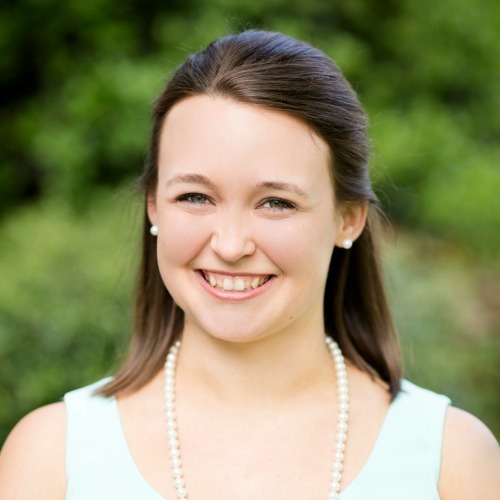 So, today I'm sharing a project that I meant to share a few months ago!!! Jeez, where does the time go?! 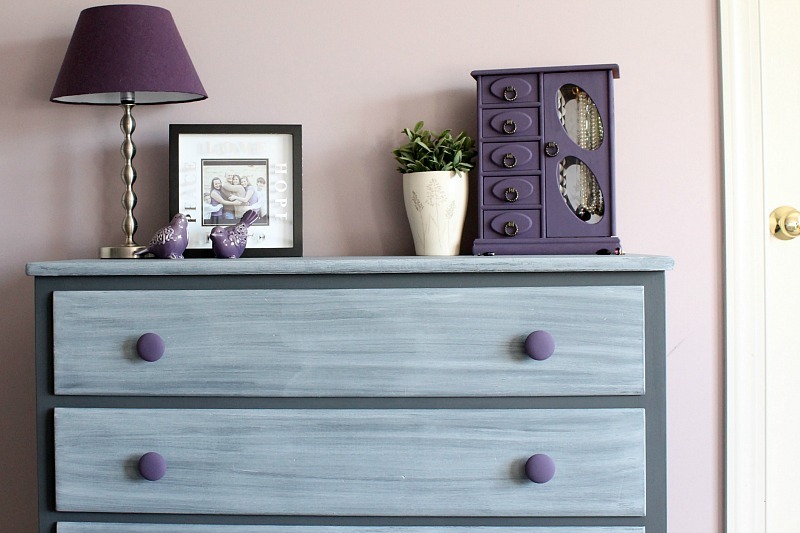 Remember that pretty purple and grey chalk-painted dresser my mom and I worked on together? 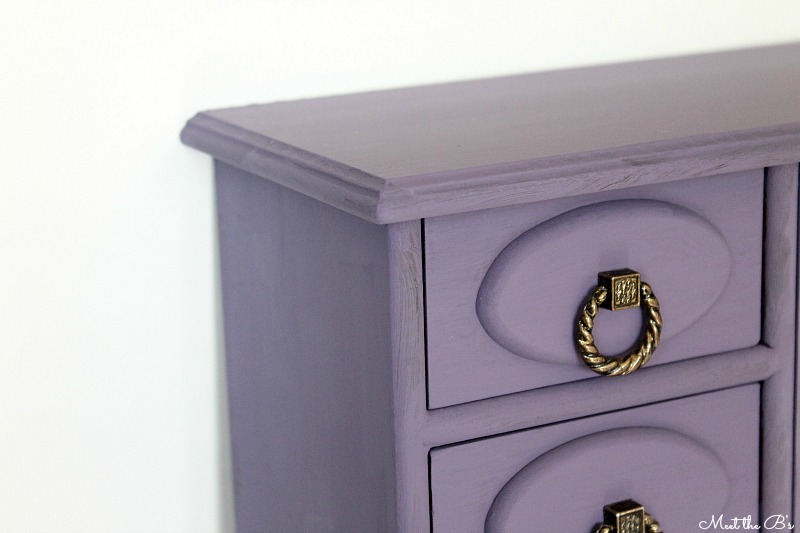 Well, we ended up with a decent amount of extra purple paint (you can see more details on how I custom made the color in that post!) 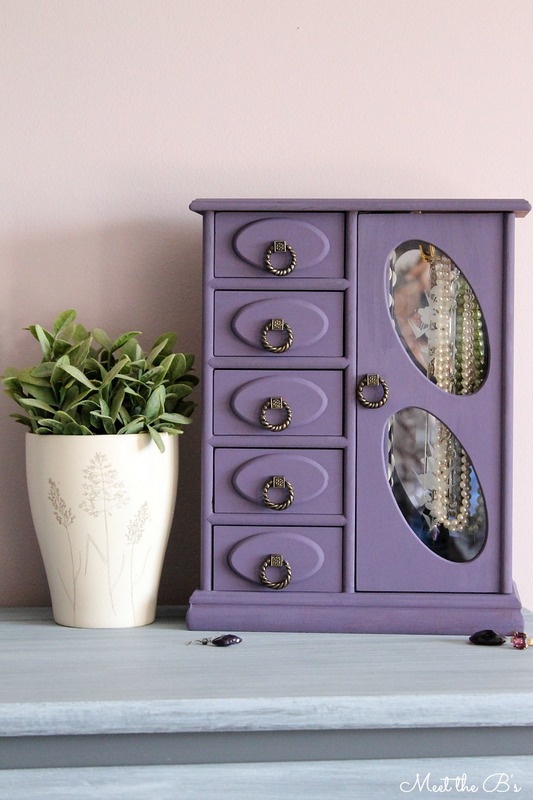 from the knobs, so we looked around the room and decided to give her old jewelry box a face-lift too!! 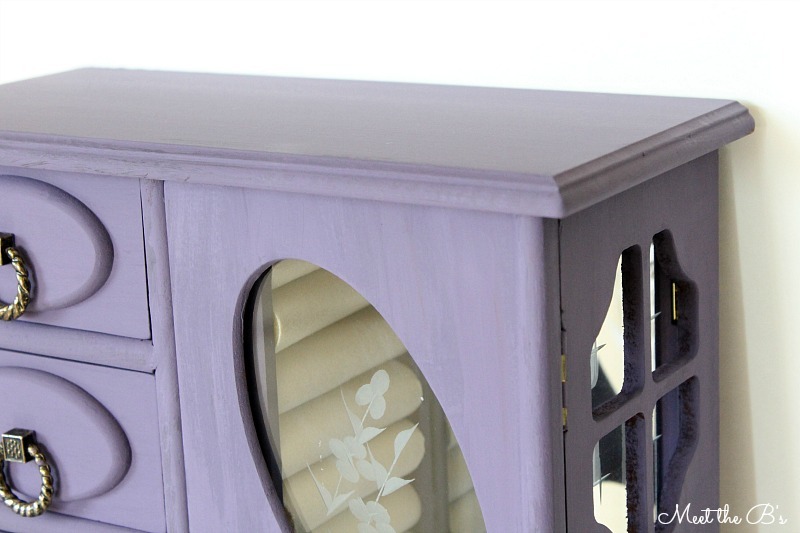 I wasn't entirely sure if the paint was going to stick because the jewelry box is definitely not made of real wood. However, chalk paint doesn't usually require a primer, so I had hope that this would work! 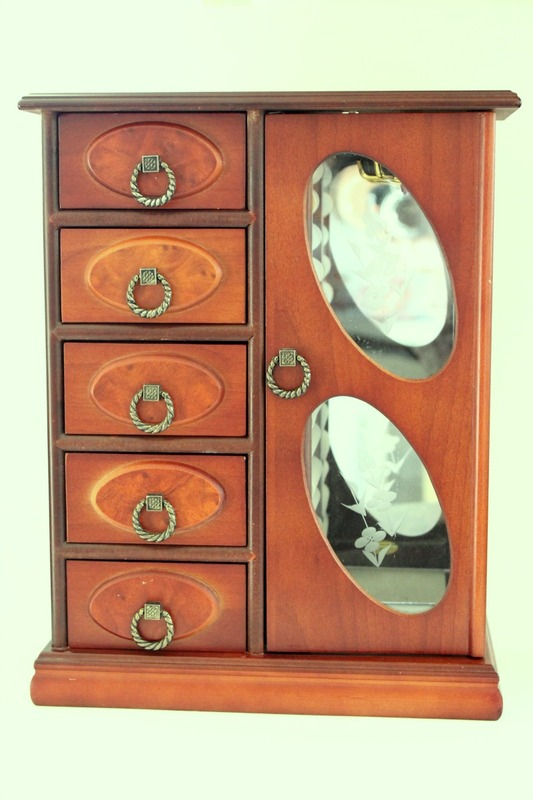 We took out each of the drawers and took the glass out of the hinged door. We gave each part two coats of paint. I love how the little miniature hardware really pops now. It was hardly a feature before paint! And she looks perfectly lovely on my moms newly painted dresser! SO pretty Nicole! Cannot wait to see that laundry room!!! OH! I really like this! 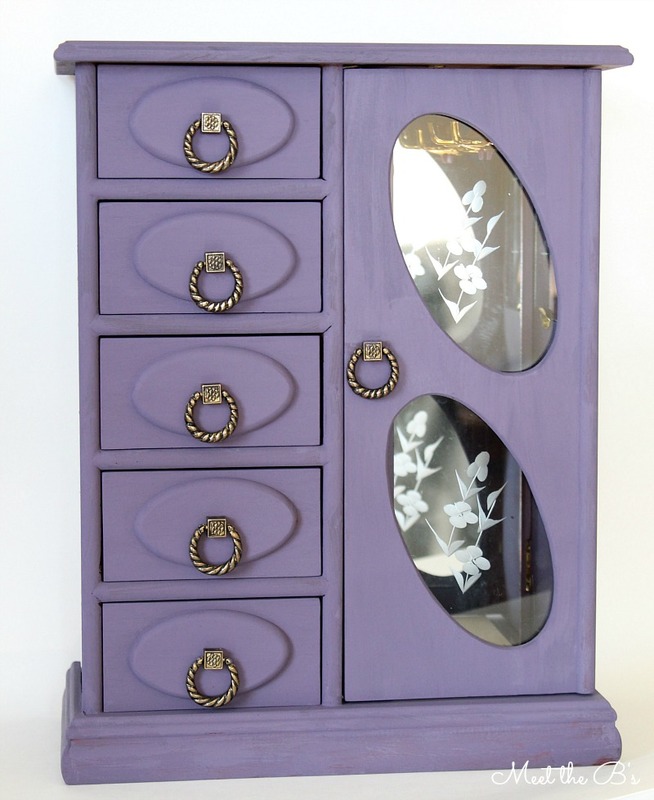 I just might have to paint my jewelry box now that I've seen this!! Thanks for the inspiration!! I would love for you to share this at Idea Box this Thursday! !